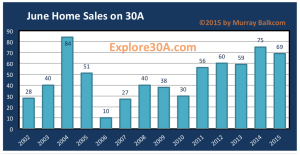 30A Home Sales (June 2015) Set More Records! June has traditionally been a slower month for 30A home sales, compared to the spring, and this year is no different. 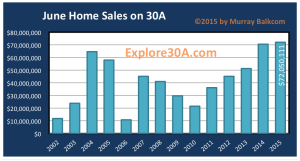 However, 30a Home Sales (for June) set more records in 2015. 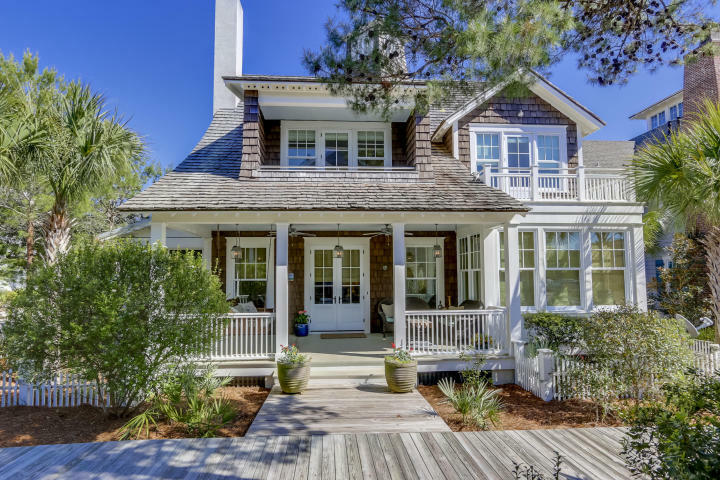 In particular, for having the highest sales volume for the month of June for homes sold on 30A. Reported 30A home sales to the Emerald Coast Association of Realtors totaled $72,050,111. The second best June on record for volume sold is June 2014, with $70,421,673 reported. 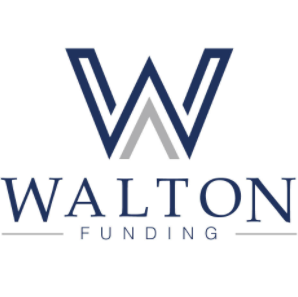 The number of sales was down slightly from 75 reported in June 2014, to 69 reported in June 2015. The average sales price was $1,108,967 with median sold price of $700,000. Another important factor to watch is the average days on market (DOM). For June 2015, the average days on market for homes sold on 30A was 131 days. Also, keep an eye on inventory of homes on 30A. Inventory levels are slowly ticking down over the last few months. Maybe in part, that can be attributed to owners removing their listings from the market during our peak rental season. In the big picture, inventory levels have stabilized over the last two years. 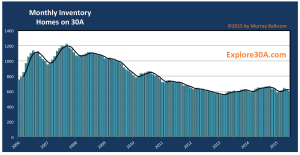 During the six year period between 2007- 2013, the inventory level has ticked down. Will 30a home sales continue to rise as we move further into 2015? Only time will tell. All information provided is based on Realtor sales reported to Emerald Coast Association of Realtors and is thought to be reliable but not guaranteed. 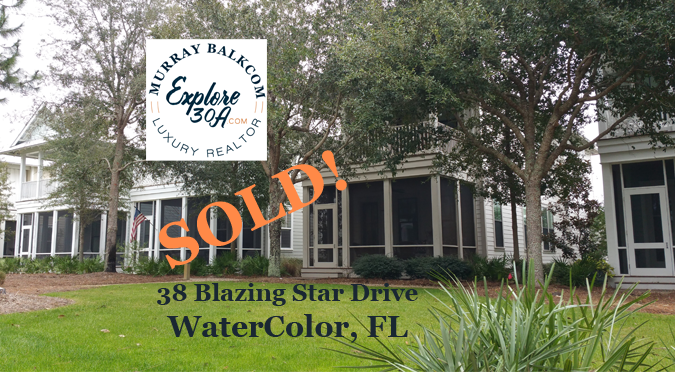 If you want to get daily updates of 30a Home Sales, pending sale updates, or new listings updates, please contact Murray here, and tell him what you want to see. 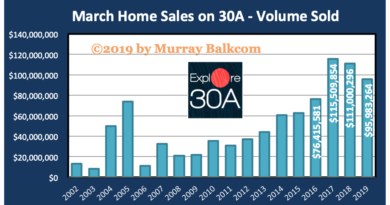 For historical data of 30a Home Sales, Murray is your trusted source.